The lead editors of The English Hymnal (1906), Percy Dearmer and Ralph Vaughan Williams, found Victorian hymnody in need of serious revision, and not just aesthetically. This musical book was intended as an expression of the editors’ Christian socialist politics involving in the participation of the congregation. This article examines how they achieved this by the encouragement of active citizenship through communal music-making, using folksong tunes alongside texts which affirmed community. This article argues that the editors wedded religion and high-quality music with a focus on citizenship drawn from British Idealism; using a cultural movement to seek social change. This article uses the editorial work of Percy Dearmer and Ralph Vaughan Williams on The English Hymnal (1906) to argue that at the turn of the twentieth century, evocations of the past, of national and of folk culture were not necessarily nostalgic or conservative, but were often used by those on the left to make strongly political statements about the need for community as a foundation for a better, fairer society rooted in an idealist conception of the common good Footnote 1Percy Dearmer et al (eds), The English Hymnal, 2nd ed. (London, 1906; London, 1933). . The hymnal’s socialist editors built communality into their book at every level, from music designed to foster participation and to reject Victorian individualism in favour of shared activity; to appeals to nationality as a bond of common culture and the English past as a shared heritage. Understanding the origins and the construction of the English Hymnal at this moment helps to elaborate key aspects of English culture, religion and politics at the turn of the twentieth century, revealing new links and interactions between them. The hymnal is shown to be a significant demonstration of the continuing importance of folk culture to English religion, a relationship more clearly realised in discussion of Methodism but neglected in the study of the Church of England. Dearmer’s editorship of the English Hymnal places him alongside other Christian socialist priests who attempted to harness an ideological link between their religion and politics and a cultural movement they saw as embodying many of their values, inheriting the interest in common culture of Charles Marson and preparing the ground for the more nationalistic adoption of folk culture by Conrad Noel in the 1910s. Footnote 2Charles Marson was a Christian socialist priest and folksong collector, who worked alongside Cecil Sharp to produce the first three volumes of the Folk Songs from Somerset series (Taunton and London, 1904–1909). Marson believed that folksong could turn the middle classes toward socialism by providing an insight into the cultural lives of the common people. Conrad Noel, the ‘Red Vicar’ of Thaxted, encouraged Morris dancing in the town and in his church as a participatory expression of English cultural heritage, which he believed to be an antidote to the evils of imperialism as well as an act of joyful praise. His thoughts on nationalism, culture and the theological basis of his communistic socialism are best expressed in The Battle of The Flags: A Study in Christian Politics (London, 1922). The hymnal also offers us another opportunity to trace the roots of second-wave Christian socialism in all their forms: liturgical, political and aesthetic. Through the central role of Idealism in its community-building ethos, the hymnal acts as a bridge between Victorian Liberal Anglicanism and the rejuvenated Christian socialism. Investigation of the musical practices and attitudes towards congregational participation of Christian socialists at this time expands upon Peter d’Alroy Jones’ discussion of their political roots and conceptions of class. Footnote 3Peter d’Alroy Jones, The Christian Socialist Revival 1877–1914: Religion, Class, and Social Conscience in Late-Victorian England (Princeton, 1968). It also shows us an example of a musical, as opposed to the more commonly discussed visual, espousal of socialism, as well as offering a tantalising possibility of socialistic patriotism in an age of Imperial decline and growing discomfort with the legacies of Empire. The editors’ conceptions of nationalism also display a key shift towards a cultural rather than racial conception of Englishness and English identity during the early twentieth century, founded in community and commonality. Finally, a focus on the congregational nature of The English Hymnal, the prime concern of its editors, allows us to deepen our understanding of the emotional nature of belief applied to both politics and religion, building on Stephen Yeo’s writing on the comparative emotional upheaval of political and religious conversions to account for the unifying nature of physical expression of belief through song and music and of participation in group activity. Footnote 4Stephen Yeo, ‘A New Life: The Religion of Socialism in Britain, 1883–1896’, History Workshop Journal, 4 (1977), p. 10. This article offers close readings of individual hymn texts and intertextual comparison with corresponding folksong texts, using a previously unutilised method to give new depth to our understanding of both the construction of the hymnal and the relationships between cultural, religious and political movements. The focus on The English Hymnal’s politics and its nationalism in relation to its music explores areas of its editors’ practices as yet not fully examined, filling in gaps in the centenary essay collection edited by Alan Luff which has a strong focus on the liturgical and theological aspects of the hymnal. Footnote 5Alan Luff (ed. ), Strengthen for Service: 100 Years of The English Hymnal, 1906–2006 (Norwich, 2005). This article shows that hymnody, and in particular The English Hymnal, can be a valuable resource not only for the historian of religion or the musicologist, but also for scholars of culture, politics and identity and the intersections between them. Dearmer was the socialist vicar of St. Mary-the-Virgin, Primrose Hill from 1901 until 1915, where he transformed the services and decoration of the church to put into practice the edicts of his 1899 manifesto The Parson’s Handbook. Footnote 6Percy Dearmer, The Parson’s Handbook (London, 1899). This meant ‘more colour and movement … and more vestments’, but emphatically not ‘fussiness and genuflections’. Footnote 7Percy Dearmer, Public Worship Today: Hopes and Hindrances (London: approx. 1930). Dearmer wished for more decorative surroundings, but in these and in his liturgy he turned to pre-Reformation England, rather than contemporary Rome. He was also an ardent preacher of the social gospel, having been converted to socialism as an undergraduate at Oxford, first by the study of Ruskin and Morris under Frederick York Powell and then by Charles Gore at Pusey House, whose colleagues Stewart Headlam and Henry Scott Holland also exerted a strong influence over a young man who had entered the University a Conservative. Footnote 8Nan Dearmer, The Life of Percy Dearmer (London, 1940), pp. 32–5. Dearmer was a member of the Guild of St. Matthew (GSM) and the Christian Social Union (CSU), the London branch of which he was secretary from 1891 to 1912; and a member of the Fabian Society, elected to the Executive Committee in 1895. Footnote 9Donald Gray, Percy Dearmer: A Parson’s Pilgrimage (Norwich, 2000), p. 31; Dearmer, Life of Percy Dearmer, p. 99. His practical education in socialism came with the Dockers’ Strike in 1889 when he went to work with James Adderley, himself a figure on the leftmost fringe of the GSM and CSU, at the Christ Church Mission in Poplar. Footnote 10Dearmer, Life of Percy Dearmer, p. 37. Adderley and Dearmer raised £800 for the strikers, as well as running a kitchen which fed six hundred a day. Footnote 11N. C. Masterman, ‘Adderley, James Granville (1861–1942)’, Oxford Dictionary of National Biography, online ed. (Oxford, 2004); Dearmer, Life of Percy Dearmer, p. 37. It was here that Dearmer saw for the first time the actual conditions of the London working classes, a foundational period in the development of his Christian socialism. To complete his vision for St. Mary-the-Virgin as a functioning example of his aesthetic and political ideals, Dearmer needed to renovate its music. He and his associates also wished to renovate English hymnody as a whole, and the result was the 1906 publication of The English Hymnal. Music Editor Vaughan Williams was also a socialist, having been converted through a careful study of the Fabian Tracts. Footnote 12Alain Frogley, ‘Williams, Ralph Vaughan (1872–1958)’, Oxford Dictionary of National Biography, online ed. (Oxford, 2009). Dearmer and the rest of the editorial committee were dissatisfied with current hymnody, and first discussed the idea of compiling a supplement to Hymns Ancient & Modern (A&M) in 1903. Footnote 13‘A Short History of The English Hymnal’ in The First Fifty Years: A Brief Account of the English Hymnal from 1906 to 1956 (London, 1956), pp. 6–7. Their disappointment with the 1904 edition of A&M and the fact that they had collected too much material for a simple supplement, led to a decision to produce a standalone book. Footnote 14Ibid. The aims of The English Hymnal included the provision of high-quality music, but more than this, the hymnal was intended to reinforce the politics of Dearmer’s preaching. The editors approached this aim through an emphasis on the Church as a community, with stress on participation and shared activity; and by a re-imagining of that community as a nation. The prominence of citizenship was due to the influence of idealism, with which Christian socialism and liberal Anglicanism shared a common root. Footnote 15Matthew Grimley, Citizenship, Community and the Church of England: Liberal Anglican Theories of the State between the Wars (Oxford, 2004), p. 25. Christian socialists such as Holland and Gore were strongly influenced by idealist philosopher Thomas Hill Green, and attempted to theologise and incorporate his thought into the Church of England through the CSU. Footnote 16Matt Carter, T.H. Green and the Development of Ethical Socialism (Exeter, 2003), p. 188. Dearmer was a colleague of both men in the CSU, and Holland made an important contribution to the hymnal, recommending Vaughan Williams to Dearmer. Footnote 17Donald Gray, ‘The Birth and Background of The English Hymnal’, in Norwich, Alan Luff (ed. ), Strengthen for Service (Norwich, 2005), p. 3. The idealist focus on community building was joined by the imagining of an English nation, reflecting a strong tendency on the British left that sought to define citizenship ‘as a social relationship co-terminus with nationality’. Prompted by a decline in classical liberalism and a rising notion of the positive state, both relied on social bonds forged by ‘shared myths, memories, and symbols’. Footnote 18Stephen Heathorn, ‘“Let Us Remember That We, Too, Are English”: Constructions of Citizenship and National Identity in English Elementary School Reading Books, 1880–1914’, Victorian Studies, 38 (London, 1995), pp. 422–3. In their English Hymnal, the editors chose to emphasise these memories and symbols through historical texts, music, and folksong melodies, using them to forge the social bonds at the centre of Dearmer’s brand of Christian socialism. By 1890, approximately 400,000 hymns were in circulation in Britain, the Church of England alone publishing 116 hymnbooks in sixty-one years. Dearmer felt that the good must be obscured by the bad. He therefore decided to create a ‘collection of the best hymns in the English language’. Footnote 19Simon Wright, ‘Pale Green of the English Hymnal! – A Centenary Retrospective’, BRIO, 43 (2006), p. 3; Percy Dearmer, ‘Preface’, in Percy Dearmer et al (eds), The English Hymnal (London, 1933), p. iii. Vaughan Williams was equally invested in compiling ‘a thesaurus of all the finest hymn tunes in the world’. Footnote 20Ralph Vaughan Williams, ‘Some Reminiscences of The English Hymnal’, in Ralph Vaughan Williams (ed. ), The First Fifty Years (London, 1956), p. 3. Vaughan Williams was not a ‘safe’ ecclesiastical choice (nor even a Christian, at that point an atheist but later a ‘cheerful agnostic’ Footnote 21Frogley, ODNB. ) but a newly flourishing composer, demonstrating that his appointment showed a real interest in quality music. Footnote 22Gray, Birth and Background, p. 3. Vaughan Williams shared this concern: ‘The final clinch was given when I understood that if I did not do the job it would be offered to a well-known church musician with whose musical ideas I was much out of sympathy’. Footnote 23Vaughan Williams, ‘Reminiscences’, p. 115. The other candidate was Walford Davies. Julian Onderdonk, ‘Ralph Vaughan Williams’, The Canterbury Dictionary of Hymnology, http://www.hymnology.co.uk/r/ralph-vaughan-williams, accessed 20 October 2015.
vulgarity in the long-run always means cheapness, and cheapness means the tyranny of the sweater … the modern preacher often stands in a sweated pulpit, wearing a sweated surplice over a suit of clothes that were not produced under fair conditions, and, holding a sweated book … appeals to the sacred principles of mutual sacrifice and love. Footnote 31Dearmer, Handbook, p. 5. Dearmer’s book was not to be another ‘sweated book’, and he founded the Warham Guild in 1912 to guard against the ‘sweated surplice’, undertaking ‘the making of all the “Ornaments of the Church and of the Ministers thereof” … under fair conditions’. Footnote 32The Warham Guild, Anglican Bibliopole Paper No. 12 (1987), http://anglicansonline.org/special/warham.html, accessed 3 April 2015. To reject bad music was to reject bad morals and bad politics. The music itself was imbued with as much social and political resonance as the texts: Vaughan Williams saw the choice of tunes as ‘a moral rather than a musical issue’. Footnote 33Vaughan Williams, ‘Music Preface’, in Dearmer et al (eds), The English Hymnal (London, 1933), p. ix. As the Arts and Crafts movement had done for decoration, he endowed music with the ability to shape the moral attitudes of its listeners, condemning contemporary hymn tunes as ‘positively harmful to those who sing and hear them’. Footnote 34Ibid., p. viii. A ‘fine hymn tune’ evoked a ‘moral atmosphere’, whilst ‘languishing and sentimental hymn tunes’ instead produced a ‘miasma’. Footnote 35Ibid., p. ix. Dearmer too remarked that ‘the best hymns … are as free as the Bible from … self-centred sentimentalism’. Footnote 36Dearmer, Preface, p. v. Julian Onderdonk explains this as a reaction to the nineteenth-century proliferation of evangelical hymns emphasising ‘subjective emotion in the soul’s personal relationship with God’. Footnote 37Julian Onderdonk, ‘Folk-Songs in The English Hymnal’, in Alan Luff (ed. ), Strengthen for Service (Norwich, 2005), p. 204. These texts were matched with similarly sweet, sentimental tunes, for example W. H. Monk’s Eventide with ‘Abide with me’ (363), the type of personal text (‘I need thy presence every passing hour’ (line 9)) and emotionally-leading tunes despised by the editors. Hymnody was a deeply embedded form of Victorian culture, a body of texts and music familiar at all levels of society. A&M outsold every Dickens novel and all of Tennyson’s poetry, reaching 35 m sales between its first publication in 1861 and the end of the century. Footnote 38Watson, Ancient or Modern, p. 1. But Vaughan Williams’s and Dearmer’s starting point was the rejection of many Victorian approaches to hymnody, in particular such evangelically-derived individualism, which went against their plans for the hymnal as a proclamation of the social gospel. The ‘Chamber of Horrors’, an appendix to the main text, encapsulated all that they despised in Victorian hymnody and by extension much that they disliked about Victorian culture. Footnote 39Vaughan Williams, Some Reminiscences, p. 3. The tunes buried in this appendix, most of them written by popular Victorian composers such as W. H. Monk and J. B. Dykes, were disliked by Vaughan Williams but so popular with congregations that the more cautious committee members insisted upon their inclusion. Footnote 40Ibid. According to Vaughan Williams, these tunes were ‘worthy neither of the congregations who sing them, the occasions on which they are sung, nor the composers who wrote them’. Footnote 41Vaughan Williams, Music Preface, p. ix. Though the editors aimed to look to the past for inspiration, bringing together Tudor and Restoration music, plainsong and folk melodies, the nineteenth century was standing between this English past and the continuity with it they wished to reassert in the twentieth. The failings of Victorian music and religion had first to be removed from the canon before work could begin anew. This rejection of Victorian hymnody and culture does not mean that Vaughan Williams and Dearmer were afraid to ally themselves with aspects of Victorian thought which were themselves counter-cultural. The editors drew upon the earlier Christian socialists led by F. D. Maurice, along with Ruskin, Morris and the Arts and Crafts movement, and the Oxford movement. Maurice Reckitt writes that the Tractarians ‘brought back the associative principle to English religion, but the extension of its application to political and social questions was not their task’. Footnote 42Maurice Reckitt, ‘Charles Marson and the Real Disorders of the Church’, in Maurice Reckitt (ed. ), For Christ and the People: Studies of Four Socialist Priests and Prophets of the Church of England Between 1870 and 1930 (London, 1968), p. 117. Dearmer worked to apply both that principle and their celebration of beauty to the social problems of his own day in the creation of his communitarian hymnal. The editors gained ground in their recreation of the Church as a community when they rejected Victorian evangelism. Rejecting the ‘I’ who sang of the soul’s salvation and replacing it with a unified ‘We’, they focused on membership of a community rather than spiritual upheavals; away from the needy ‘I’ of ‘Abide with me’ and towards praise rather than supplication. Nine hymns begin with ‘We’, and most of them constitute an act of praise. These hymns also highlight communal activity, for example ‘We plough the fields, and scatter’ (293), and singing: ‘We sing the glorious conquest’ (207). This is not to say that the editors did not embrace the personal in the occasional hymn, such as Newman’s ‘Lead, kindly Light’ (425). The idealist leanings of the hymnal provided scope for this, as despite its emphasis on community, idealism also valued the sanctity of ‘autonomous character’. Footnote 43Sandra den Otter, ‘“Thinking in Communities:” Late nineteenth-century Liberals, Idealists and the retrieval of community’, Parliamentary History, 16 (1997), p. 70. Indeed, it was for idealists only through the nurturing of society that individuals were able to attain ‘capacity for personality’ or fulfil their potential. Footnote 44Carter, Green and the Development of Ethical Socialism, pp. 27–8. If the common good benefitted both individual and community and was itself strengthened by interplay between the two, then there was room in Dearmer’s hymnal for songs of both shared praise and personal devotion, though the emphasis remained upon the communal. And ordered their estate. Footnote 46Ibid., p. 238. As well as going against the inclusive ethos of the hymnal, the verse ran counter to Dearmer’s reading of the Bible: Dearmer wrote that Alexander must have forgotten the parable of Dives and Lazarus, in which the beggar Lazarus lay at the rich man Dives’s gate and was refused sustenance and shelter. Footnote 47Ibid., p. 239. Dearmer’s action reflects the changing nature of Christian socialism between Maurice’s first wave, and the late nineteenth-century revival. Peter d’Alroy Jones notes that Maurice believed in sympathy and justice for the poor, but not in a need to reconstruct society as ‘we are already within God’s order’. Footnote 48Jones, The Christian Socialist Revival 1877–1914, p. 109. Dearmer did want to redesign society: in 1908, he, along with Adderley and F.L. Donaldson, issued a pamphlet advocating public ownership of the means of production, and asserting that their socialism was essentially the same as that of secular socialists in economic terms. Footnote 49Ibid., p. 219. Conscious of the poor man at his own gate, the parable of Dives and Lazarus held special meaning for Dearmer – indeed before their collaboration, he was known to Vaughan Williams as ‘a parson who invited tramps to sleep in his drawing room’. Footnote 50Vaughan Williams, Reminiscences, p. 115. The parable appeared as a secondary narrative alongside the lyrics of several hymns through their coupling with the tune of the folksong ‘Dives and Lazarus’, creating an intertextual conversation. Both ‘Lord, I would own thy tender care’ (601), in which food and clothing is bestowed by God, and ‘I heard the voice of Jesus say’ (547), which spoke of a resting place for the weary and water for the thirsty, used the tune to underpin a link with the parable. Thus the hymnal called for a society that honoured communal bonds. Community was enacted in a literal sense though congregational singing, where each individual contributed to a harmonious whole in shared activity. Vaughan Williams bemoaned the ‘age of specialization’, and instead called for the participation of all classes in national life and in the building of national culture, as the ‘greatest artist belongs inevitably to his country as much as the humblest singer in a remote village – they … are links in the same chain’. Footnote 51Vaughan Williams, National Music, p. 4, 7. Where The English Hymnal was used, the specialists, the choir and organist, were joined by the humbler singers of the congregation, all of them contributing to the musical expression of their community. In the eighteenth century the word concert simply meant the playing of music as a group, but by the nineteenth century it came to signify a presentation to an audience. Footnote 52Erik Routley, The Church and Music (London, 1978), p. 174. It was this passivity that Vaughan Williams endeavoured to counter, not only to foster communal activity, but because the future of music in England was at stake. Through his love of folksong and belief in its evolution through oral tradition, Vaughan Williams had decided that the best music was that which had evolved to meet the needs of a group of people and whose development was dictated by the tastes of a community rather than the taste of an individual specialist, leading to the preservation of the best forms and the extinction of weaker strains. Such a process, shaped by the needs of a group, recommended the use of folksong for its inbuilt communality as well as for its musical qualities. In order for this process of evolution to continue in the twentieth century, when, as Vaughan Williams thought, life in England had changed so drastically as to make the continuance of folk music-making in rural areas impossible, communal music had to take place in different contexts. Vaughan Williams’s aim to include the congregation was such a core tenet of the hymnal that he overruled his own editorial policies: ‘Anxiety to ensure the co-operation of the congregation may have caused the boundary to be occasionally overstepped, so that a few tunes have been retained which ought to have been rejected’. Footnote 53Vaughan Williams, Music Preface, p. x. Out of thirty-seven folksong adaptations, nineteen melodies were altered in order to make them easier to sing, a fact which undermined his commitment to the idea of the ‘natural selection’ process of oral tradition, but emphasised his determination to get the congregation participating as the core aim of a book aimed at fostering community through shared activity. Footnote 54Onderdonk, Folk-songs, p. 201.
we have endeavoured to produce a book that shall … exhibit the characteristic virtue of hymnody … the fact that in the worship of God Christians are drawn the closer together. Footnote 55Dearmer, Preface, p. iii. Dearmer strengthened this perceived unity by ensuring that different denominations were singing the same hymns, including in his hymnal those written by Methodists (Wesley, Whitefield, William Williams Pantycelyn), Dissenters (Doddridge, Watts), and American Episcopalians and Unitarians (Edmund Sears, Phillips Brooks). He also included hymns by Anglicans of a more Evangelical turn such as William Cowper, and John Newton, whose own good relations with dissenting ministers in Olney provided a past example of ecumenical spirit. Footnote 56For Newton’s friendships and his own interest in dissent, see D. Bruce Hindmarsh, ‘Newton, John (1725–1807)’, Oxford Dictionary of National Biography, online ed. (Oxford, 2010). 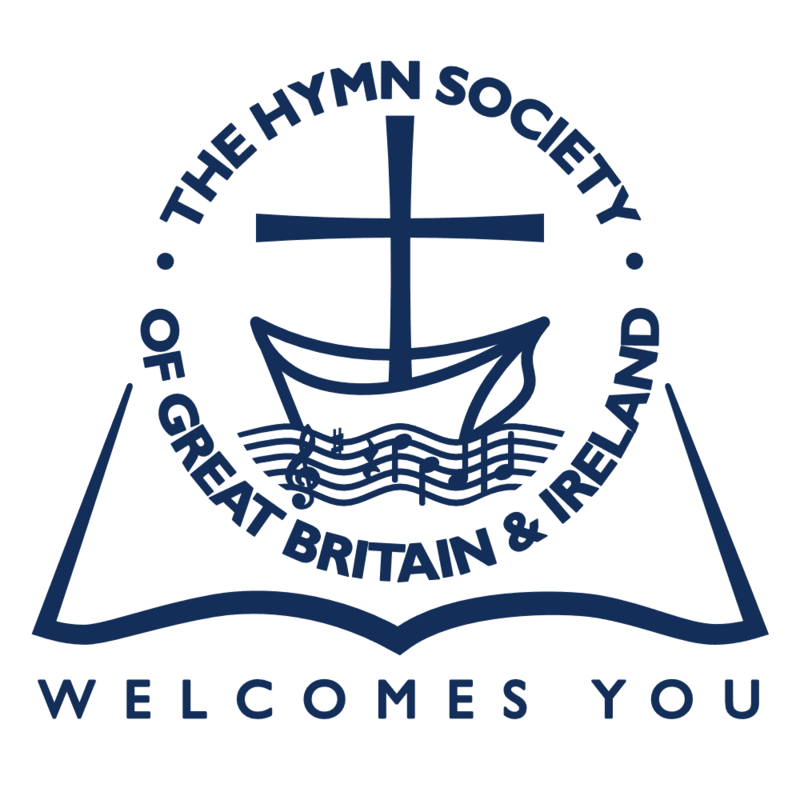 The new hymnal was received by its first reviewers as a major effort towards ecumenicalism, with the hymnologist Canon Julian praising it as ‘the first attempt in the history of Church of England hymnody to sink party views and aims for the common good’. Footnote 57John Julian, review in The Guardian, repr. in Church Times, 6 July 1906, p. 1. The Church Times also singled out the hymnal’s ‘diversity’ as ‘a great advance in our hymnody’. Footnote 58Church Times, 22 June 1906, p. 843. Dearmer was later involved in ecumenical schemes, writing the service for and undertaking the decoration of the Guildhouse, the interdenominational religious centre set up in 1921 by Maude Royden. Services there consisted of music, both congregational hymns and orchestral pieces; readings from the Bible and from poets, and addresses on religious and secular subjects. Footnote 59Maud Royden contributed a lengthy reminiscence to Nan Dearmer’s biography, pp. 240–5. Dearmer’s supporting role was another practical application of his socialist and idealist beliefs as well as his artistic ones, an attempt to forge a community where all were given opportunity to flourish and to work together to enrich the whole. Thus, Dearmer’s inclusion of so many Nonconformist hymnists could be seen as an attempt to heal the rift caused by the 1902 Education Act, of which Dearmer and his colleagues Gore and Headlam strongly disapproved as bringing about a ‘quasi-feudal’ level of clerical control and alienating the working classes. Footnote 60N. R. Gullifer, ‘Opposition to the 1902 Education Act’, Oxford Review of Education, 8 (1982), p. 85; Jones, The Christian Socialist Revival 1877–1914, p. 31, 88; Nan Dearmer reproduces a long letter written by Dearmer on the subject of Voluntary and Board Schools in her biography, pp. 72–4. We need to have great heart enough to love other churches and nations, and thereby to love our own yet better. The best Englishman is also a good European … the best churchman is … one who loves the whole of Christendom … the true patriot is he who believes – not in one patriotism but in all. Footnote 64Ibid., p. 9. To reflect this interrelation of national and international in their hymnal, the editors included texts and tunes from all over the world. Alongside translations of ancient hymns from Greek, Latin, and Syriac, there are twenty-two hymns translated from German, two from Italian, and one each from Russian, Welsh, Irish, Danish, and Swahili, the first lines of which are also given in their original language. There are in addition fifteen American texts. Most of the German hymns are matched with German tunes, and the Welsh text, ‘Arglwydd arwain trwy’r anialwch’ (Guide me O thou great Jehovah) (397) is paired with one of twenty-three Welsh melodies, CAERSALEM. The English Hymnal demonstrated what its editors believed to be the highest form of patriotism: recognition and celebration of the patriotism of others, in order that all may be enriched by the fine balance between the distinct and the whole. Such interrelation was aligned with the wider British left of the time, who had a similar relationship with cultural nationalism, marking May Day as both a ‘celebration of Englishness’ and an international festival of the workers, rejecting ‘the Marxist axiom that “workers have no country” … in favour of a view of the plurality of national identities’. Footnote 65Paul Ward, Red Flag and Union Jack: England, Patriotism and the British Left, 1881–1924 (Woodbridge, 1998), p. 157. By far the strongest affirmation made by The English Hymnal was the importance of community, most often through the foregrounding of the idea of the Church and its corporate body as a nation. The nation had become an important focus for Labour at this time, arrived at ‘naturally from the view that it was through collective action that the better life for all would be achieved’, and for the left-wing editors, the English nation presented an attractive model of culture and heritage within which to construct their ideal community. Footnote 66Peter Catterall, ‘The Distinctiveness of British Socialism? Religion and the Rise of Labour, c. 1900–39’, in Matthew Worley (ed. ), The Foundations of the British Labour Party: Identities, Cultures and Perspectives, 1900–39 (Farnham, 2009), p. 150. The nations imagined by Vaughan Williams were not ‘aggregations of people, artificially divided from each other by political frontiers ‘ but a ‘community of people who are spiritually bound together by language, environment, history, and common ideals’. Footnote 67Vaughan Williams, National Music, p. 68. The nation as a model for such a community was an even more useful construct because of its imagined nature, based upon common culture and heritage, ensuring, as Benedict Anderson posits, that each member feels part of the community and aware of the existence of their fellows without ever meeting them. Footnote 68Benedict Anderson, Imagined Communities: Reflections on the Origin and Spread of Nationalism (London, 2006), p. 6. The editors built upon the pre-existing imagined community of the Anglican communion with the symbols of the nation described by Vaughan Williams. Moreover, for idealists the nation was an expression of ‘collective sympathy’; the ‘deeply seated commonalities’ of language and culture were created not by the nation, but the nation was in fact an expression of these conditions of unity. Footnote 69den Otter, Thinking in Communities, p. 81. The nation of the hymnal’s title was at once an easily imagined community with which to evoke the types of social and cultural bonds the editors wished to promote, and an expression of those conditions of unity. The fostering of shared worship as affirmation of the value of community and in particular of the social benefits of participation were cornerstones of the editors’ socialistic aims. Indeed, for Christian socialists, individualism was not only a ‘false account of society’ but also a ‘mistaken theory of religion’. Footnote 70Carter, Green and the Development of Ethical Socialism, p. 112. A truer religion, and one that Dearmer and Vaughan Williams endeavoured to propagate in their hymnal, celebrated the human need for fellowship in community and took steps to deliberately foster such fellowship to the benefit of both individuals and society, on a global as well as a local level. Vaughan Williams’s atheism did not prevent him from embracing the Church as the type of corporate body and its music as the kind of communal expression that he believed would be vital in shaping this new society. In common with many others involved in art, music and literature in this period, Vaughan Williams and Dearmer looked ‘back to the land’ and back to the past. This turning back was the ultimate rejection of Victorian thought, a reversal of the Smilesian ideal of progress. Footnote 71Alun Howkins, ‘The Discovery of Rural England’, in Robert Colls and Philip Dodd (eds), Englishness: Politics and Culture 1880–1920 (London, 1986), p. 70. This was an idea explored at the time by J. L. and Barbara Hammond, who challenged the accepted wisdom that wide-scale enclosure and the move to an industrial society was a ‘great national advance’, and argued that instead it ‘killed’ the ‘spirit of a race’ by ‘extinguishing’ the social ties of rural communities. Footnote 72J. L. Hammond and Barbara Hammond, The Village Labourer 1760–1832 (London, 1911; repr. Gloucester, 1987), pp. 104–5. The economic rent accrued by landowners was of course the prime target of the campaigning of the GSM, following the Single Tax stance of Headlam. Dearmer and his colleagues fought to return the value of land to the people; and in his use of the sound of a pre-industrial ‘Merrie England’, Vaughan Williams evoked a past characterised by the communal life and social bonds destroyed by the transfer of common land to private ownership. Alongside his folk melody adaptations, Vaughan Williams provided many tunes from Tudor or Restoration composers, including sixteen by Gibbons, eight by Tallis, seven by Lawes and three from Purcell. This era in British music was vastly underrepresented in A&M, with no music by Lawes or Purcell and only seven and six tunes from Gibbons and Tallis, respectively. Footnote 73John Bawden, ‘The Music of The English Hymnal’, in Alan Luff (ed. ), Strengthen for Service (Norwich, 2005), pp. 141–2. Vaughan Williams restored these composers to the canon after years of neglect, making use of historical English composition in an effort to reinvent the Anglican community as a nation by focusing on historical continuity and a reconnection with the roots of national culture. He emphasised that the beauty and power of worship depended on its being ‘removed from our every-day goings on’, condemning the use of Victorian tunes by asking ‘Have we re-written the Bible or the Prayer Book in the style of the Daily Mail or rebuilt Westminster Abbey to look like a public-house? Footnote 74Ibid. Vaughan Williams was not only suggesting that worship ought to have a measure of gravity, but also that it should be essentially timeless. Dearmer and Vaughan Williams saw a particular flaw in A&M in this regard, in that its especial addition to hymnody was the dedicated hymn tune. Prior to this, hymns and tunes were printed in separate books and matched by metre, a practice suggestive of the timelessness of God that placed the Church and worship beyond current trends. Footnote 75Ian Bradley, ‘Vaughan Williams’ “Chamber of Horrors”: Changing Attitudes Towards Victorian Hymns’ in Alan Luff, Strengthen for Service (Norwich, 2005). Vaughan Williams argued that it was imperative that tunes ‘which have stood the test of time’ be used for hymns, especially folksongs which, because of their communal origins, would be less affected by personal tastes and have survived due to their own musical merits. Footnote 76Vaughan Williams, Music Preface, p. viii. This was also true for church music in that in the old system of separate books, a tune had to be good enough to impress in its own right, aside from the lyrics of any particular hymn. While The English Hymnal did not return to this practice, Vaughan Williams ensured that musical pairings remained flexible: footnotes suggested other tunes in addition to the one given, and a metrical index allowed freer choice. He drew attention to his dislike of dedicated hymn tunes in his preface: ‘the “specially composed tune” – that bane of many a hymnal – has been avoided as far as possible. There are already many hundreds of fine tunes in existence’. Footnote 77Vaughan Williams, Music Preface, p. viii. There were actually several specially composed tunes, for example those commissioned from Gustav Holst to match hymns with difficult metres. But Vaughan Williams downplayed this fact, while his own tunes were attributed to his ‘old friend, Mr. Anon’. Footnote 78Vaughan Williams, Some Reminiscences, p. 3. When a stranger arrives in New York he finds imitations of Florentine palaces … Gothic cathedrals … Greek temples … All these things the visitor dismisses … and turns to her railway stations, her offices and shops; buildings dictated by the necessity of the case, a truly national style of architecture evolved from national surroundings. Footnote 81Vaughan Williams, National Music, p. 5.
the lilt of the chorus at a music-hall joining in a popular song, the children dancing to a barrel organ, the rousing fervour of a Salvation Army hymn, … the Welshmen striking up one of their own hymns whenever they win a goal at the international football match, the cries of the street pedlars, the factory girls singing their sentimental songs? Have these nothing to say to us? Footnote 83Ralph Vaughan Williams, ‘Who Wants the English Composer?’, in Manning (ed. ), Vaughan Williams on Music (Oxford, 2008), p. 41. Vaughan Williams believed that these types of music should have something to say to composers because they were expressions of communal life, arbitrated not by individual taste but by the needs of the whole, suited to the occasions and contexts for which they were created. Music hall songs and pedlars’ cries were not appropriate for church use, but folksongs could be: Judith Blezzard notes that Vaughan Williams took care to avoid tunes which carried inappropriately secular associations. Footnote 84Judith Blezzard, Borrowings in English Church Music, 1550–1950 (London, 1990), pp. 95–6. Yet he was careful to emphasise that folk tunes were not ‘museum-pieces’, but ‘an art which grows straight out of the needs of a people and for which a fitting and perfect form … has been found by those people’, making such music well suited to the communitarian aims of the hymnal as well as exhibiting the kind of local specificity he believed to be vital in all arts. Footnote 85Vaughan Williams, National Music, p. 22. He also described folksong as ‘an individual flowering on a common stem’, a notion echoing the editors’ idealist ethos in that a common bond provided a strong basis for fruitful individual growth. Footnote 86Ibid., pp. 32–3. In addition to the appeals to common culture and the English past embodied in their folk status, the use of folksong melodies also allowed the editors to reinforce their choice of hymn text with secondary meanings which supported their political and social goals. Close readings of pairs of texts linked together by Vaughan Williams’s use of folk melodies allow us to examine these interactions and the ways in which they were deployed by the editors in furthering the aims of their hymnal. In the case of ‘O God of Earth and Altar’ (562), related through its tune KING’S LYNN to the folksong ‘Van Diemen’s Land’, the religious and secular songs reinforce the concerns of one another, both exploring the idea of nationhood and what it means for a nation to lose itself, or for an individual to lose their nationality. The hymn is in the ‘National’ section, and dwells on the faltering of a nation and its potential doom, and the folksong deals with loss of nation on an individual level, as a transported poacher is sent thousands of miles away to face hardship in a strange land, remembering ‘the cottage of contentment that I shall see no more’. Footnote 87‘Van Diemen’s Land/Young Henry the Poacher’, Journal of the Folk Song Society, 8 (1906), p. 166. The hymn asks God to ‘Tie in a living tether/The prince and priest and thrall,/ Bind all our lives together’ (lines 17–9), but the transport of the folksong is cast adrift; the hymn bemoans that ‘Our people drift and die’ (line 4), and the transports are scattered across the globe, drifting possibly to die. Onderdonk sees a Christian socialist message in the choice of tune for this hymn, Footnote 88Julian Onderdonk, ‘Folk Songs and Hymn Tunes’, English Dance and Song, 68 (2006), p. 19. reminding Christians of the hardships undergone by transports (‘Some was chained unto a harrow and some unto a plough’ (line 28), tells the song) and adding an extra layer of meaning to the hymn text: the reinforcement of the hymn’s narrative in that of the folksong reminding the congregation that as Christians they were asking God to be bound together as a ‘living nation’ (line 23) in which none were discarded. A similar intertextual conversation is brought about by LANGPORT, one of two tunes (the other is BRIDGWATER, from the folksong ‘Sweet Europe’) given for different parts of ‘The Story of the Cross’ (656). The suitably haunting melody of LANGPORT is used for the central sections of the hymn: ‘The Story of the Cross’, and ‘The Message of the Cross’. ‘Lord Rendel’, the song from which LANGPORT is taken, tells a story through discussion between a mother and her son who is poisoned by his sweetheart. Footnote 89Cecil Sharp and Charles Marson, Folk Songs from Somerset, 1 (1904); 4th ed. (Taunton, 1910), pp. 46–7. Rendel’s mother asks him to tell her his will, and he leaves riches to his family, but to his sweetheart, ‘A rope to hang her’ (line 31). The folksong text echoes both the tone and the narrative of the hymn, carrying the voice of a dying son, who is killed for love. Rendel is killed by his sweetheart, and Jesus in the hymn tells that ‘I came to lead thee to/Life and love’ (lines 67–8) and that ‘For thee my Blood I shed,/ For thee I died’ (lines 69–70). Christ dies for love of mankind and is killed for ‘You who would love him’ (line 25), just as Rendel is murdered by the woman he loves. The sorrowing mother in ‘Lord Rendel’ is present briefly in ‘The Story of the Cross’ in the shape of the women who ‘walk sorrowing/By his side’ (lines 3–4). But the real conversation between the texts comes at the very end, with the legacies left by the dying sons. The contrast with Rendel’s vengeance emphasises Christ’s forgiveness in his legacy of a ‘way of peace/Up to God’ (lines 80–1). The pairing of folksong tunes and hymn texts also allowed the editors to include a more up to date political statement. For example, Dearmer wrote a socialist hymn, ‘The winter’s sleep was long and deep’ (221), for the feast of SS. Philip and James on the first of May, a day associated with the labour movement. The connection was continued in the matching of the text with the tune of a traditional May-day carol, ‘The Moon Shines Bright’, called KING’S LANGLEY in the hymnal. Footnote 90Onderdonk, Folk-songs, pp. 193–4. The hymn tells that ‘our faith is shown by our works alone’ (line 19) and ends by asking ‘lord, grant that we may brethren be – /As Christians live in deed (lines 21–2). With its emphasis on active faith through good works and the plea for brotherhood, the hymn couches a socialist message within a religious one. These pleas for brotherhood form part of Matthew Grimley’s projection of a Christian socialist ideal rooted not only in politics but in theology, with the doctrine of divine immanence placing emphasis on ‘common purpose and social fellowship’. Footnote 91Grimley, Citizenship, Community and the Church of England, p. 36. Dearmer in this hymn fulfils his own entreaty that for a church to ‘proclaim the true God, it must stand for righteousness, both individual and social’, drawing on both Christian socialist and idealist beliefs in the common good. Footnote 92Dearmer, Public Worship. Dearmer’s socialism is most apparent in his choice of Ebenezer Elliott’s ‘When wilt thou save the people?’ (566). The ‘Corn-Law Rhymer’ was not himself a socialist, except perhaps in sharing some of the cooperative ideals of the Mauricians of the 1850s, but his ‘People’s Anthem’, first written in 1848, remained a ‘powerful plea for social justice’ in 1906. Footnote 93Jones, The Christian Socialist Revival 1877–1914, p. 25; Sheila Doyle, ‘When Wilt Thou Save the People’, The Canterbury Dictionary of Hymnology, http://www.hymnology.co.uk/w/when-wilt-thou-save-the-people, accessed 20 October 2015. The song’s symbolic status changed over time, and by the time Dearmer included it in his hymnal, it had already been adopted as a socialist song, appearing in The Labour Church Hymn and Tune Book in 1893 and occupying a prominent place in socialist song collections until its eventual displacement by ‘The Red Flag’. Footnote 94Ibid. ; Sheila Doyle, ‘Ebenezer Elliott’, The Canterbury Dictionary of Hymnology, http://www.hymnology.co.uk/e/ebenezer-elliott, accessed 20 October 2015. Dearmer’s placing of the hymn in the ‘National’ section, and its refrain of ‘God save the people!’ made a direct suggestion that it was a more fitting national anthem than ‘God save our gracious King’ (560), because it asked God to save ‘Not crowns and thrones but men!’ (line 3). Whilst other hymns were less overtly socialist in either their focus on justice or their historical use, many still held socialist connotations through their coupling with folksong tunes. If, as Stephen Yeo contends, “the people” were the special agents and mediators of certain and imminent change’ due to their ‘long tradition and memory of their role over centuries’, then the people’s music was inherently socialist music, carrying the agency of Yeo’s ‘hidden hand’ because it was formed by such communal memory. Footnote 95Yeo, A New Life, pp. 22–3. Onderdonk sees Vaughan Williams’s use of folksongs as an attempt to ‘establish the conditions by which his compatriots might come into a more profound relation with a common English heritage’ which would ‘forge connections between social classes’. Footnote 96Julian Onderdonk, ‘Hymn Tunes from Folk Songs: Vaughan Williams and English hymnody’, in Byron Adams and Robin Wells (eds), Ralph Vaughan Williams Essays (Aldershot, 2003), p. 104. This focus on communal bonds again demonstrates a Christian socialist focus on common purpose, Footnote 97Grimley, Citizenship, Community and the Church of England, p. 36. as well as an idealist conception of the nation as a community which ‘cut across’ class and religious divisions with shared history and language. Footnote 98den Otter, Thinking in Communities, p. 81. Father Marson will never be forgot, when I hear the children sing the tunes to hymns that we gave him years ago. He is always in our minds that make us think of him more. ‘There is a land of pure delight’ in the English hymn book, the tune I gave him. I can’t tell you how I feel when I hear the tune sang to a hymn. I think it is lovely but we didn’t think that years ago when we sang to him first. Footnote 99Somerset Heritage Centre, Taunton, papers of Charles Latimer Marson, A/DFS 1/20. Letter from Louie Hooper to Frank Etherington, 11 March 1934. Hooper’s original reaction was ambiguous, but twenty years after Marson’s death it became a positive one bound up with memories of a departed friend. The relationships between hymn texts and their folk ‘originals’ also remain ambiguous, and in some cases problematic: the juxtaposition of the tune ‘The Unquiet Grave’ with a funeral hymn for a young child, for example. These problems of association were seemingly unavoidable: a reviewer for The Musical Herald praised the beauty of the folksong melodies, but took umbrage at the inclusion of the Welsh hymn tune AR HYD Y NOS because of its association in England with the Broadside catch ‘Poor Mary Anne’. Footnote 100The Musical Herald, 1 September 1906, p. 276. Yet whether or not the folk text supported the hymn text by offering a secondary meaning, the folk tunes of The English Hymnal were the central element of Vaughan Williams’s editorial policy, their status as folksong in itself forming the backbone of the book’s cultural nationalism. The use of folk tunes presented practical problems. The tunes had to be sung by congregations, even though they were invariably performed by individuals in their original form. An individual could enhance the tune with personal improvements, but these complex variations would have proved difficult for large groups to sing. Vaughan Williams, therefore, was bound by the practicalities of his task, and had to select the simplest variant of each tune, and perform a number of alterations. Onderdonk has examined Vaughan Williams’s editing of folk tunes in a number of essays. Footnote 101Onderdonk, ‘Vaughan Williams and English Hymnody’; Julian Onderdonk, ‘Vaughan Williams’s Folksong Transcriptions: A Case of Idealization?’, in Alain Frogley (ed. ), Vaughan Williams Studies (Cambridge, 1996). Bawden also discusses Vaughan Williams Practicality was not the only factor influencing his choices: Onderdonk sees Vaughan Williams’ practice as related to his agenda, with the multiple variations stripped back in an attempt to create a perfect Ur-text, part of a larger attempt to reconstruct a core repertoire as ‘a cultural artefact uniquely expressive of the feelings of the nation’. Footnote 102Onderdonk, ‘Vaughan Williams and English hymnody’, p. 119; Onderdonk, Idealization?, p. 119. This is undeniably true: the task of social transformation set for the hymnal by its editors ensured that such political needs would affect not only the choice of material but its arrangement. Here, there is a slight movement away from the idealist underpinning of the hymnal, the individual for a moment obscured by the group. As well as smoothing the songs’ edges, Vaughan Williams obscured their names and narratives behind geographical titles. Names referring to what was now religious music had to be respectful of their surroundings. But it is also possible that Vaughan Williams’s titling of tunes with the names of the villages and counties in which they were collected is the strongest reference he could make to their origins, and that as far as the constraints of context allowed him, he was honouring both songs and singers in making sure the tunes were forever wedded to LANGPORT and LEW TRENCHARD, DEVONSHIRE and SUSSEX. The geographical naming of the tunes had another effect, closely tied to Vaughan Williams’s cultural nationalism. By showcasing the origins of the tunes – rather than their original popular names – he reinforced their Englishness. The collection of place names built a musical topography of rural England, mapping English cultural life through the creation of a ‘nation of music’ in which villages were represented by tunes. Although, as David Matless and Paul Readman have shown, the English landscape was a vital site of national identity so too were specific cities, counties, towns or villages, suggesting national identity at this time was ‘predicated on love of locality’. Footnote 103David Matless, Landscape and Englishness (London, 1998); Paul Readman, Land and Nation in England: Patriotism, National Identity, and the Politics of Land, 1880–1914 (London, 2008), pp. 2–3; Paul Readman, ‘The Place of the Past in English Culture c. 1890–1914’ Past and Present 186 (2005), p. 176. Vaughan Williams’s choice to rename folksongs with rural place names ties into these contemporary associations of landscape with national identity, performing the dual function of re-branding secular music for religious use and reinforcing a nation-building agenda. The interrelationship between the local and the national was also at work in the hymnal in a literal form. The participation of each congregation in active citizenship through singing together echoed around the country as other congregations sang the same hymns in their own churches, the localised form contributing to a national whole. Footnote 104See Tom Hulme, ‘Putting the City back into Citizenship: Civics Education and Local Government in Britain, 1918–45’, Twentieth Century British History, 26 (2015), p. 29, p. 36., for the assertion that citizenship was predicated first upon the local and participation within the local community. The idea of an English cultural community was foregrounded through the use of English folk tunes, and a corresponding Christian nation put forward through the inclusion of hymns referring to their singers and their Church as a kingdom. The two were brought together in hymn 488, ‘The Church of God a kingdom is’, set to a folk tune named CAPEL by Vaughan Williams but taken from the song ‘King Pharim’, which, fittingly, is about the biblical pharaoh, dealing with another ‘holy nation’. Vaughan Williams’s later work Job: A Masque for Dancing continued this creation of an English Jerusalem. The biblical tale of Job, via William Blake, was performed as an ‘English ballet’, transposed to a rural English setting by the pastoral set designs of Gwen Raverat. Footnote 105Rishona Zimring, Social Dance and the Modernist Imagination in Interwar Britain (Farnham, 2013), pp. 123–5. Due to the auspicious timing of its publication, The English Hymnal intervened in early twentieth-century culture far more than would befit a mere hymnbook. Its publication during a period of great socialist organisation, coupled with the election of twenty-nine Labour MPs (at whose celebratory event many hymns were sung Footnote 106Ward, Red Flag and Union Jack, p. 21. ) and the Liberal landslide of the 1906 election, allowed its editors to project their politics whilst realigning Anglicanism with concern for the lives of the working classes. Despite bans in several dioceses over concerns that some hymns contained prayers to saints and the Virgin Mary, the hymnal was warmly received by congregations. Footnote 107Church Times, 9 November 1906, p. 536. It was also understood as an attempt to build a shared culture, though not all of its readers agreed with the editors’ methods: one correspondent to the Church Times insisted that the hymnal would not ‘take with the poor’ because of the ‘needless changes’ it introduced. Footnote 108Church Times, 29 June 1906, p. 865. The accusation drew defenders for the hymnal, including staunch socialist W.E. Moll, who wrote that the first correspondent betrayed his naivety by referring to ‘working-men’ as ‘the poor’, and in thinking that they were not deserving of high-quality music. Footnote 109Church Times, 6 July 1906, p. 4. An anonymous correspondent pointed out that the type of unsentimental hymns favoured by The English Hymnal were ‘familiar at the great religious labour gatherings when working-men have made their own selections’. Footnote 110Ibid. The editors’ efforts to create an unsentimental and high-quality collection of broad appeal were understood. The English Hymnal made both important affirmations and rejections in dealing with the canons it inherited, musically, religiously and politically; and in doing so, made a strong case for Christian socialism at the dawn of the twentieth century, linking that claim to wider concern with community, citizenship and identity current in the period and inspired by the idealists with whom Christian socialists shared significant goals. Undoubtedly The English Hymnal was groundbreaking within its own field, not least for its pioneering use of folk melodies. Yet despite its status as a mere hymnbook, it managed to draw together such concerns as socialism, nationalism, art and the value of the past, as well as examining the place of Christianity in relation to these. Despite some level of idealisation, The English Hymnal and the folk revival with which it was linked were culturally progressive in that they actively championed the cultural forms of the common people, celebrating both their aesthetic and social importance. For many of those with an interest in folksong and dance, like the Christian socialists Charles Marson and Conrad Noel (a curate of Dearmer) and social workers such as Mary Neal and Grace Kimmins, this interest dovetailed with a commitment to socialism which aimed at improving the lives of these working class keepers of national culture in what Readman calls ‘welfare patriotism’. This has its basis in the notion that the people themselves were the nation, and therefore efforts to improve their lot were in themselves expressions of love for country. Footnote 111Readman, ‘Land and Nation’, p. 61, 181. Marson was a Christian socialist priest and folksong collector. Conrad Noel was the ‘Red Vicar’ of Thaxted, Essex, where he encouraged Morris dancing as part of his vision for a communistic, Christian, English nation in microcosm. Mary Neal ran a social club for young seamstresses in St Pancras, where she introduced Morris dancing as communal recreation which she believed was imbued with both joy and national cultural heritage. Grace Kimmins ran the Guild of Play and the Guild of the Brave Poor Things, working with slum children and the disabled respectively. The focus was inculcating citizenship through shared recreation. She saw tradition and national identity as important aspects of citizenship, a right to their cultural heritage which Kimmins felt had been denied to slum children. It is tempting to argue that Dearmer’s and Vaughan Williams’s interest in past forms was born of nostalgia; that they, along with many others, faced anxieties about the dilapidation of English culture and about the decline of rural England. Folksong collectors felt a sense of urgency: Cecil Sharp wrote in 1907 that ‘in ten years at the most there will be no more work for the collector to do’, because most singers were above seventy years old. Footnote 112Cecil Sharp, ‘Folk-song Collecting’, The Musical Times, 48 (1907), p. 18. This sense of loss could easily engender nostalgia, leading us to accuse Vaughan Williams of trying to popularise forms which had shown their irrelevance through their rejection by the communities that had once sung them. But what Dearmer and Vaughan Williams in fact realised was that if treated carefully the past could still speak to them, and in particular that forms that had been handed down over centuries had been so precisely because they were worth keeping. Vaughan Williams’s socialism was inevitably of a paternalistic kind. His musical decisions betrayed this: intent on discarding very popular tunes because they were ‘unsuitable to their purpose’, he set himself up as a patrician arbiter of popular taste. Footnote 113Vaughan Williams, Music Preface, p. viii. He was willing to ‘risk momentary unpopularity’ for ‘the greater ultimate good’ by attempting to ‘improve’ the tastes of the congregations, allowing himself to believe that he was being cruel to be kind. Footnote 114Ibid., p. viii. Yet his interest in the cultural products of the working classes, even if these were the products of only a small subsection of the oldest or most rural, demonstrates that Vaughan Williams saw ‘the underprivileged as real human beings rather than social abstractions’. Footnote 115Frogley, ODNB. This returns us to socialism as more than just economics: Vaughan Williams was, as were Dearmer and his CSU colleagues, investigating the cultural lives of the working classes, and in his music he was also celebrating them. He was attempting to show the value of working-class culture to national life; that it was to be taken seriously, not ‘something clownish and boorish, not even something inchoate’. Footnote 116Vaughan Williams, National Music, p. 22. Vaughan Williams and Dearmer believed that art and music mattered, that they were for everyone and should be made by everyone, becoming a shared possession in a national culture of which all could claim membership: a single step on the illusory path towards socialism’s better world, and the organic community and common good of idealism. Katie Palmer Heathman is a recent graduate of the University of Leicester, where she completed her PhD in summer 2016. She is interested in the relationships between cultural movements and social change, examining how changing interests in music and other recreational activities both reflect and influence political and social campaigning. Katie has mainly focused on the English Folk Revival, with her doctoral thesis discussing the links between the revival and Christian Socialism, social work and rural regeneration. Linked interests include the idea of national music/culture; heritage and the performance of the past; civics and citizenship; and nineteenth-century literature and culture more broadly. This work was supported by the Arts and Humanities Research Council [grant number 1165949]. Thanks are due to Julian North, Rob Colls and Felicity James for reading earlier drafts, and especially to Tom Hulme for his invaluable criticism and comment. I am also grateful to the two anonymous reviewers and to the editor for their rigorous and insightful critiques. 1. ^Footnote 1Jump back to footnote 1 in the text Percy Dearmer et al (eds), The English Hymnal, 2nd ed. (London, 1906; London, 1933). 2. ^Footnote 2Jump back to footnote 2 in the text Charles Marson was a Christian socialist priest and folksong collector, who worked alongside Cecil Sharp to produce the first three volumes of the Folk Songs from Somerset series (Taunton and London, 1904–1909). Marson believed that folksong could turn the middle classes toward socialism by providing an insight into the cultural lives of the common people. Conrad Noel, the ‘Red Vicar’ of Thaxted, encouraged Morris dancing in the town and in his church as a participatory expression of English cultural heritage, which he believed to be an antidote to the evils of imperialism as well as an act of joyful praise. His thoughts on nationalism, culture and the theological basis of his communistic socialism are best expressed in The Battle of The Flags: A Study in Christian Politics (London, 1922). 3. ^Footnote 3Jump back to footnote 3 in the text Peter d’Alroy Jones, The Christian Socialist Revival 1877–1914: Religion, Class, and Social Conscience in Late-Victorian England (Princeton, 1968). 4. ^Footnote 4Jump back to footnote 4 in the text Stephen Yeo, ‘A New Life: The Religion of Socialism in Britain, 1883–1896’, History Workshop Journal, 4 (1977), p. 10. 5. ^Footnote 5Jump back to footnote 5 in the text Alan Luff (ed. ), Strengthen for Service: 100 Years of The English Hymnal, 1906–2006 (Norwich, 2005). 6. ^Footnote 6Jump back to footnote 6 in the text Percy Dearmer, The Parson’s Handbook (London, 1899). 7. ^Footnote 7Jump back to footnote 7 in the text Percy Dearmer, Public Worship Today: Hopes and Hindrances (London: approx. 1930). 8. ^Footnote 8Jump back to footnote 8 in the text Nan Dearmer, The Life of Percy Dearmer (London, 1940), pp. 32–5. 9. ^Footnote 9Jump back to footnote 9 in the text Donald Gray, Percy Dearmer: A Parson’s Pilgrimage (Norwich, 2000), p. 31; Dearmer, Life of Percy Dearmer, p. 99. 10. ^Footnote 10Jump back to footnote 10 in the text Dearmer, Life of Percy Dearmer, p. 37. 11. ^Footnote 11Jump back to footnote 11 in the text N. C. Masterman, ‘Adderley, James Granville (1861–1942)’, Oxford Dictionary of National Biography, online ed. (Oxford, 2004); Dearmer, Life of Percy Dearmer, p. 37. 12. ^Footnote 12Jump back to footnote 12 in the text Alain Frogley, ‘Williams, Ralph Vaughan (1872–1958)’, Oxford Dictionary of National Biography, online ed. (Oxford, 2009). 13. ^Footnote 13Jump back to footnote 13 in the text ‘A Short History of The English Hymnal’ in The First Fifty Years: A Brief Account of the English Hymnal from 1906 to 1956 (London, 1956), pp. 6–7. 14. ^Footnote 14Jump back to footnote 14 in the text Ibid. 15. ^Footnote 15Jump back to footnote 15 in the text Matthew Grimley, Citizenship, Community and the Church of England: Liberal Anglican Theories of the State between the Wars (Oxford, 2004), p. 25. 16. ^Footnote 16Jump back to footnote 16 in the text Matt Carter, T.H. Green and the Development of Ethical Socialism (Exeter, 2003), p. 188. 17. ^Footnote 17Jump back to footnote 17 in the text Donald Gray, ‘The Birth and Background of The English Hymnal’, in Norwich, Alan Luff (ed. ), Strengthen for Service (Norwich, 2005), p. 3. 18. ^Footnote 18Jump back to footnote 18 in the text Stephen Heathorn, ‘“Let Us Remember That We, Too, Are English”: Constructions of Citizenship and National Identity in English Elementary School Reading Books, 1880–1914’, Victorian Studies, 38 (London, 1995), pp. 422–3. 19. ^Footnote 19Jump back to footnote 19 in the text Simon Wright, ‘Pale Green of the English Hymnal! – A Centenary Retrospective’, BRIO, 43 (2006), p. 3; Percy Dearmer, ‘Preface’, in Percy Dearmer et al (eds), The English Hymnal (London, 1933), p. iii. 20. ^Footnote 20Jump back to footnote 20 in the text Ralph Vaughan Williams, ‘Some Reminiscences of The English Hymnal’, in Ralph Vaughan Williams (ed. ), The First Fifty Years (London, 1956), p. 3. 21. ^Footnote 21Jump back to footnote 21 in the text Frogley, ODNB. 22. ^Footnote 22Jump back to footnote 22 in the text Gray, Birth and Background, p. 3. 23. ^Footnote 23Jump back to footnote 23 in the text Vaughan Williams, ‘Reminiscences’, p. 115. The other candidate was Walford Davies. Julian Onderdonk, ‘Ralph Vaughan Williams’, The Canterbury Dictionary of Hymnology, http://www.hymnology.co.uk/r/ralph-vaughan-williams, accessed 20 October 2015. 24. ^Footnote 24Jump back to footnote 24 in the text J.R. Watson, ‘Ancient or Modern, Ancient and Modern: The Victorian Hymn and the Nineteenth Century’, The Yearbook of English Studies, 36 (2006), p. 2. 25. ^Footnote 25Jump back to footnote 25 in the text Ralph Vaughan Williams, ‘National Music’, in Michael Kennedy (ed. ), Ralph Vaughan Williams, National Music and Other Essays, 2nd ed. (Oxford, 1986), p. 66. 26. ^Footnote 26Jump back to footnote 26 in the text Dearmer, Preface, p. iii. 27. ^Footnote 27Jump back to footnote 27 in the text Dearmer, Public Worship; Dearmer, Life of Percy Dearmer, p. 35. 28. ^Footnote 28Jump back to footnote 28 in the text Jones assigns these interpretations to the CSU’s first president, B. F. Westcott. Jones, The Christian Socialist Revival 1877–1914, p. 180. 29. ^Footnote 29Jump back to footnote 29 in the text R. J. Helmstadter, ‘The Nonconformist Conscience’, in Gerald Parsons (ed. ), Religion in Victorian Britain, Volume IV: Interpretations (Manchester, 1988), pp. 84–5. 30. ^Footnote 30Jump back to footnote 30 in the text John Ruskin, ‘The Nature of Gothic’, in John Ruskin (ed. ), The Stones of Venice, vol. 2 (London, 1851–53; repr. in John Ruskin, Unto this Last and Other Writings (Harmondsworth, 1985), pp. 84–5. 31. ^Footnote 31Jump back to footnote 31 in the text Dearmer, Handbook, p. 5. 32. ^Footnote 32Jump back to footnote 32 in the text The Warham Guild, Anglican Bibliopole Paper No. 12 (1987), http://anglicansonline.org/special/warham.html, accessed 3 April 2015. 33. ^Footnote 33Jump back to footnote 33 in the text Vaughan Williams, ‘Music Preface’, in Dearmer et al (eds), The English Hymnal (London, 1933), p. ix. 34. ^Footnote 34Jump back to footnote 34 in the text Ibid., p. viii. 35. ^Footnote 35Jump back to footnote 35 in the text Ibid., p. ix. 36. ^Footnote 36Jump back to footnote 36 in the text Dearmer, Preface, p. v.
37. ^Footnote 37Jump back to footnote 37 in the text Julian Onderdonk, ‘Folk-Songs in The English Hymnal’, in Alan Luff (ed. ), Strengthen for Service (Norwich, 2005), p. 204. 38. ^Footnote 38Jump back to footnote 38 in the text Watson, Ancient or Modern, p. 1. 39. ^Footnote 39Jump back to footnote 39 in the text Vaughan Williams, Some Reminiscences, p. 3. 40. ^Footnote 40Jump back to footnote 40 in the text Ibid. 41. ^Footnote 41Jump back to footnote 41 in the text Vaughan Williams, Music Preface, p. ix. 42. ^Footnote 42Jump back to footnote 42 in the text Maurice Reckitt, ‘Charles Marson and the Real Disorders of the Church’, in Maurice Reckitt (ed. ), For Christ and the People: Studies of Four Socialist Priests and Prophets of the Church of England Between 1870 and 1930 (London, 1968), p. 117. 43. ^Footnote 43Jump back to footnote 43 in the text Sandra den Otter, ‘“Thinking in Communities:” Late nineteenth-century Liberals, Idealists and the retrieval of community’, Parliamentary History, 16 (1997), p. 70. 44. ^Footnote 44Jump back to footnote 44 in the text Carter, Green and the Development of Ethical Socialism, pp. 27–8. 45. ^Footnote 45Jump back to footnote 45 in the text Percy Dearmer, Songs of Praise Discussed (London, 1933), pp. 238–9. 46. ^Footnote 46Jump back to footnote 46 in the text Ibid., p. 238. 47. ^Footnote 47Jump back to footnote 47 in the text Ibid., p. 239. 48. ^Footnote 48Jump back to footnote 48 in the text Jones, The Christian Socialist Revival 1877–1914, p. 109. 49. ^Footnote 49Jump back to footnote 49 in the text Ibid., p. 219. 50. ^Footnote 50Jump back to footnote 50 in the text Vaughan Williams, Reminiscences, p. 115. 51. ^Footnote 51Jump back to footnote 51 in the text Vaughan Williams, National Music, p. 4, 7. 52. ^Footnote 52Jump back to footnote 52 in the text Erik Routley, The Church and Music (London, 1978), p. 174. 53. ^Footnote 53Jump back to footnote 53 in the text Vaughan Williams, Music Preface, p. x. 54. ^Footnote 54Jump back to footnote 54 in the text Onderdonk, Folk-songs, p. 201. 55. ^Footnote 55Jump back to footnote 55 in the text Dearmer, Preface, p. iii. 56. ^Footnote 56Jump back to footnote 56 in the text For Newton’s friendships and his own interest in dissent, see D. Bruce Hindmarsh, ‘Newton, John (1725–1807)’, Oxford Dictionary of National Biography, online ed. (Oxford, 2010). 57. ^Footnote 57Jump back to footnote 57 in the text John Julian, review in The Guardian, repr. in Church Times, 6 July 1906, p. 1. 58. ^Footnote 58Jump back to footnote 58 in the text Church Times, 22 June 1906, p. 843. 59. ^Footnote 59Jump back to footnote 59 in the text Maud Royden contributed a lengthy reminiscence to Nan Dearmer’s biography, pp. 240–5. 60. ^Footnote 60Jump back to footnote 60 in the text N. R. Gullifer, ‘Opposition to the 1902 Education Act’, Oxford Review of Education, 8 (1982), p. 85; Jones, The Christian Socialist Revival 1877–1914, p. 31, 88; Nan Dearmer reproduces a long letter written by Dearmer on the subject of Voluntary and Board Schools in her biography, pp. 72–4. 61. ^Footnote 61Jump back to footnote 61 in the text Ralph Vaughan Williams, ‘Elizabethan Music and the Modern World’, in David Manning (ed. ), Vaughan Williams on Music (Oxford, 2008), p. 68. 62. ^Footnote 62Jump back to footnote 62 in the text Ibid. 63. ^Footnote 63Jump back to footnote 63 in the text Percy Dearmer, Patriotism, Papers for War Time No. 13 (London, 1915), p. 8. 64. ^Footnote 64Jump back to footnote 64 in the text Ibid., p. 9. 65. ^Footnote 65Jump back to footnote 65 in the text Paul Ward, Red Flag and Union Jack: England, Patriotism and the British Left, 1881–1924 (Woodbridge, 1998), p. 157. 66. ^Footnote 66Jump back to footnote 66 in the text Peter Catterall, ‘The Distinctiveness of British Socialism? Religion and the Rise of Labour, c. 1900–39’, in Matthew Worley (ed. ), The Foundations of the British Labour Party: Identities, Cultures and Perspectives, 1900–39 (Farnham, 2009), p. 150. 67. ^Footnote 67Jump back to footnote 67 in the text Vaughan Williams, National Music, p. 68. 68. ^Footnote 68Jump back to footnote 68 in the text Benedict Anderson, Imagined Communities: Reflections on the Origin and Spread of Nationalism (London, 2006), p. 6. 69. ^Footnote 69Jump back to footnote 69 in the text den Otter, Thinking in Communities, p. 81. 70. ^Footnote 70Jump back to footnote 70 in the text Carter, Green and the Development of Ethical Socialism, p. 112. 71. ^Footnote 71Jump back to footnote 71 in the text Alun Howkins, ‘The Discovery of Rural England’, in Robert Colls and Philip Dodd (eds), Englishness: Politics and Culture 1880–1920 (London, 1986), p. 70. 72. ^Footnote 72Jump back to footnote 72 in the text J. L. Hammond and Barbara Hammond, The Village Labourer 1760–1832 (London, 1911; repr. Gloucester, 1987), pp. 104–5. 73. ^Footnote 73Jump back to footnote 73 in the text John Bawden, ‘The Music of The English Hymnal’, in Alan Luff (ed. ), Strengthen for Service (Norwich, 2005), pp. 141–2. 74. ^Footnote 74Jump back to footnote 74 in the text Ibid. 75. ^Footnote 75Jump back to footnote 75 in the text Ian Bradley, ‘Vaughan Williams’ “Chamber of Horrors”: Changing Attitudes Towards Victorian Hymns’ in Alan Luff, Strengthen for Service (Norwich, 2005). 76. ^Footnote 76Jump back to footnote 76 in the text Vaughan Williams, Music Preface, p. viii. 77. ^Footnote 77Jump back to footnote 77 in the text Vaughan Williams, Music Preface, p. viii. 78. ^Footnote 78Jump back to footnote 78 in the text Vaughan Williams, Some Reminiscences, p. 3. 79. ^Footnote 79Jump back to footnote 79 in the text Vaughan Williams, Reminiscences, pp. 4–5. 80. ^Footnote 80Jump back to footnote 80 in the text Nan Dearmer, Life of Percy Dearmer, p. 289. 81. ^Footnote 81Jump back to footnote 81 in the text Vaughan Williams, National Music, p. 5. 82. ^Footnote 82Jump back to footnote 82 in the text Ibid., p. 2. 83. ^Footnote 83Jump back to footnote 83 in the text Ralph Vaughan Williams, ‘Who Wants the English Composer?’, in Manning (ed. ), Vaughan Williams on Music (Oxford, 2008), p. 41. 84. ^Footnote 84Jump back to footnote 84 in the text Judith Blezzard, Borrowings in English Church Music, 1550–1950 (London, 1990), pp. 95–6. 85. ^Footnote 85Jump back to footnote 85 in the text Vaughan Williams, National Music, p. 22. 86. ^Footnote 86Jump back to footnote 86 in the text Ibid., pp. 32–3. 87. ^Footnote 87Jump back to footnote 87 in the text ‘Van Diemen’s Land/Young Henry the Poacher’, Journal of the Folk Song Society, 8 (1906), p. 166. 88. ^Footnote 88Jump back to footnote 88 in the text Julian Onderdonk, ‘Folk Songs and Hymn Tunes’, English Dance and Song, 68 (2006), p. 19. 89. ^Footnote 89Jump back to footnote 89 in the text Cecil Sharp and Charles Marson, Folk Songs from Somerset, 1 (1904); 4th ed. (Taunton, 1910), pp. 46–7. 90. ^Footnote 90Jump back to footnote 90 in the text Onderdonk, Folk-songs, pp. 193–4. 91. ^Footnote 91Jump back to footnote 91 in the text Grimley, Citizenship, Community and the Church of England, p. 36. 92. ^Footnote 92Jump back to footnote 92 in the text Dearmer, Public Worship. 93. ^Footnote 93Jump back to footnote 93 in the text Jones, The Christian Socialist Revival 1877–1914, p. 25; Sheila Doyle, ‘When Wilt Thou Save the People’, The Canterbury Dictionary of Hymnology, http://www.hymnology.co.uk/w/when-wilt-thou-save-the-people, accessed 20 October 2015. 94. ^Footnote 94Jump back to footnote 94 in the text Ibid. ; Sheila Doyle, ‘Ebenezer Elliott’, The Canterbury Dictionary of Hymnology, http://www.hymnology.co.uk/e/ebenezer-elliott, accessed 20 October 2015. 95. ^Footnote 95Jump back to footnote 95 in the text Yeo, A New Life, pp. 22–3. 96. ^Footnote 96Jump back to footnote 96 in the text Julian Onderdonk, ‘Hymn Tunes from Folk Songs: Vaughan Williams and English hymnody’, in Byron Adams and Robin Wells (eds), Ralph Vaughan Williams Essays (Aldershot, 2003), p. 104. 97. ^Footnote 97Jump back to footnote 97 in the text Grimley, Citizenship, Community and the Church of England, p. 36. 98. ^Footnote 98Jump back to footnote 98 in the text den Otter, Thinking in Communities, p. 81. 99. ^Footnote 99Jump back to footnote 99 in the text Somerset Heritage Centre, Taunton, papers of Charles Latimer Marson, A/DFS 1/20. Letter from Louie Hooper to Frank Etherington, 11 March 1934. 100. ^Footnote 100Jump back to footnote 100 in the text The Musical Herald, 1 September 1906, p. 276. 101. ^Footnote 101Jump back to footnote 101 in the text Onderdonk, ‘Vaughan Williams and English Hymnody’; Julian Onderdonk, ‘Vaughan Williams’s Folksong Transcriptions: A Case of Idealization?’, in Alain Frogley (ed. ), Vaughan Williams Studies (Cambridge, 1996). Bawden also discusses Vaughan Williams’ arrangements in more depth. 102. ^Footnote 102Jump back to footnote 102 in the text Onderdonk, ‘Vaughan Williams and English hymnody’, p. 119; Onderdonk, Idealization?, p. 119. 103. ^Footnote 103Jump back to footnote 103 in the text David Matless, Landscape and Englishness (London, 1998); Paul Readman, Land and Nation in England: Patriotism, National Identity, and the Politics of Land, 1880–1914 (London, 2008), pp. 2–3; Paul Readman, ‘The Place of the Past in English Culture c. 1890–1914’ Past and Present 186 (2005), p. 176. 104. ^Footnote 104Jump back to footnote 104 in the text See Tom Hulme, ‘Putting the City back into Citizenship: Civics Education and Local Government in Britain, 1918–45’, Twentieth Century British History, 26 (2015), p. 29, p. 36., for the assertion that citizenship was predicated first upon the local and participation within the local community. 105. ^Footnote 105Jump back to footnote 105 in the text Rishona Zimring, Social Dance and the Modernist Imagination in Interwar Britain (Farnham, 2013), pp. 123–5. 106. ^Footnote 106Jump back to footnote 106 in the text Ward, Red Flag and Union Jack, p. 21. 107. ^Footnote 107Jump back to footnote 107 in the text Church Times, 9 November 1906, p. 536. 108. ^Footnote 108Jump back to footnote 108 in the text Church Times, 29 June 1906, p. 865. 109. ^Footnote 109Jump back to footnote 109 in the text Church Times, 6 July 1906, p. 4. 110. ^Footnote 110Jump back to footnote 110 in the text Ibid. 111. ^Footnote 111Jump back to footnote 111 in the text Readman, ‘Land and Nation’, p. 61, 181. Marson was a Christian socialist priest and folksong collector. Conrad Noel was the ‘Red Vicar’ of Thaxted, Essex, where he encouraged Morris dancing as part of his vision for a communistic, Christian, English nation in microcosm. Mary Neal ran a social club for young seamstresses in St Pancras, where she introduced Morris dancing as communal recreation which she believed was imbued with both joy and national cultural heritage. Grace Kimmins ran the Guild of Play and the Guild of the Brave Poor Things, working with slum children and the disabled respectively. The focus was inculcating citizenship through shared recreation. She saw tradition and national identity as important aspects of citizenship, a right to their cultural heritage which Kimmins felt had been denied to slum children. 112. ^Footnote 112Jump back to footnote 112 in the text Cecil Sharp, ‘Folk-song Collecting’, The Musical Times, 48 (1907), p. 18. 113. ^Footnote 113Jump back to footnote 113 in the text Vaughan Williams, Music Preface, p. viii. 114. ^Footnote 114Jump back to footnote 114 in the text Ibid., p. viii. 115. ^Footnote 115Jump back to footnote 115 in the text Frogley, ODNB. 116. ^Footnote 116Jump back to footnote 116 in the text Vaughan Williams, National Music, p. 22. To download a copy of the PDF, please click here.